Just when you thought it was safe to watch the knuckleball again—bang—you're brought back to reality. Thanks to a monster two-run HR by Jackie Bradley, Jr., the Red Sox were enjoying a blissful lead. Even the NESN guys were speculating that Steven Wright might have his mojo back. Wrong! 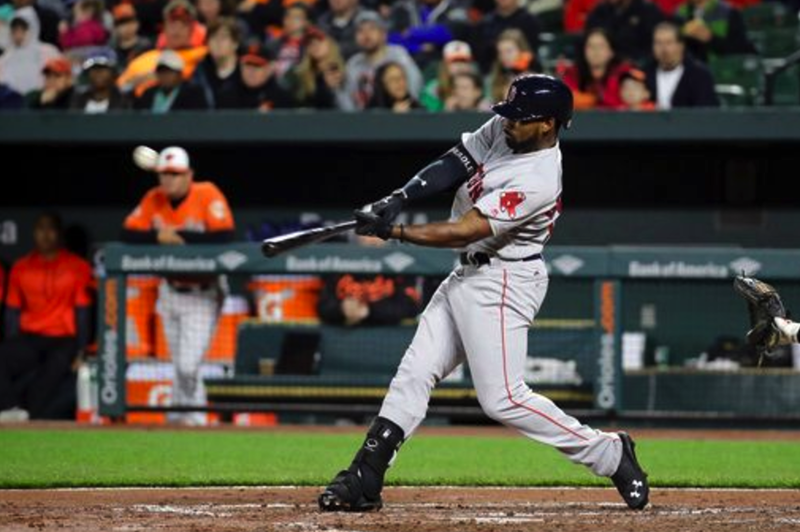 Four runs later, Boston was again on their treadmill to offensive oblivion—eventually losing 4-2 to the Orioles. Said Wright of his signature pitch, "It's not really moving. I am trying to get the violence back into the pitch." We'll even accept a little mild anger. Boston faces the real possibility of a sweep to the O's—who, believe it or not, own the best record in baseball.